Are you an estate agent who is looking for the opportunity of increasing your business further? Well, an efficient way is to make use of modern technology. For example, you can maximize the reach by exploring the bulk SMS facility. Send messages to your existing and potential clients to keep them updated about your offers. Nowadays, it is not difficult to keep a list of contact numbers in a database. You can gather the names from your clients and get them stored electronically using the services of a data entry company. Alternatively, you can use the internal staff for updating a contact database. One the database is ready, sending bulk SMS is as easy as ABC. Several service providers are ready to do more than happily. 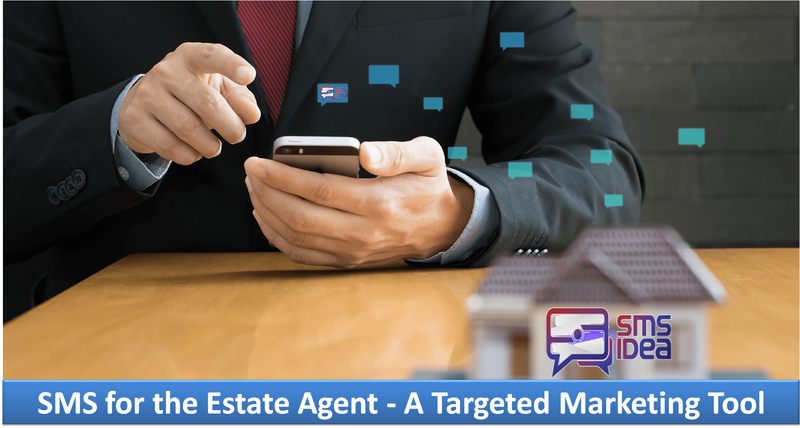 When people say that SMS can become a targeted marketing tool for a real estate business, there are valid reasons for it. When you hire a bulk SMS service provider for creating effective marketing campaigns, you reach to a broad audience in one go. Whether it is about informing them about the price change or promoting a newly developed project; bulk SMS is ideal in every situation. When you use a bulk SMS service for communicating to the customers, you can make use of interactive messages to keep it a two-way communication. In the real estate business, it is all the more critical to have a personal touch with everyone. By using dedicated keywords and dedicated numbers, it is possible for you to talk to every customer. You can gather personalized data about their like and dislikes. Well-informed customer is always satisfied with the services. He tells about your service to others. Thus, you serve the customers better and keep them always happy. An estate agent has to get the pulse of the market continuously. In the modern times when operating costs are always under a huge pressure, you should search for smarter and more efficient ways of saving on operating costs. With a SMS Service, your objectives can be achieved more than efficiently. Statistics say that almost 98 percent messages are opened within five second. Hence, a SMS gives value for money. Thus, SMS marketing is modern tool that stands outstandingly amongst other tools. When used systematically, it can bring great results.